Sadly, longtime Santa Barbara surfer/shaper/businessman Jeff White has passed away. His life touched many others. Below is his obituary written by Bruce Fowler, a longtime friend. Jeffrey D. White quietly passed away yesterday. He was my partner and friend for many years and will be deeply missed. The first time I met Jeff, was at a small wood shack of a surf shop along the two lane strip that runs along Pleasure Point in Santa Cruz. He was a tall slender man of around 25 years of age with a building full of O’Neill Wetusits that he would rent out by the hour or the day. It was Christmas time, and I was about 8 years old. My family had a ritual of spending alternate Christmas times with my Uncle Brad’s family who lived in nearby Felton. My mom rented a vest for me for around $3.00, and I can remember telling my brother I was so warm I could stay out all day! It wasn’t until years later that I would meet Jeff again. After owning my first surf shop at the ripe old age of 17, I was asked by Char Lockerbie, then the manager of Jeff’s “Surf n Wear” shop on Carrillo Street, to work for them upon returning from an extended surf safari in Central America. I jumped at the chance, and became one of the three employees that, along with Jeff, and Char’s sister, Chris, would become the face of Surf “n Wear’s 1970’s history, and a cornerstone to other local surf shops to follow. 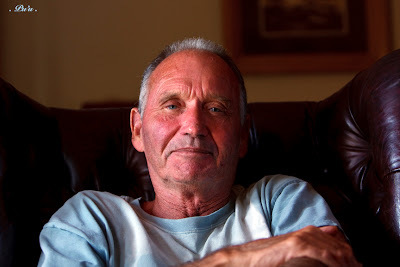 Although Jeff is well known and remembered for being the creator of “Owl Surfboards” with partner Brian Bradley in Summerland during the early 60’s, he is perhaps more noted for being a powerhouse lifeguard and dory racer with teammate Paul Hodgert. I would watch ABC Television’s “Wide World of Sports” coverage of “The United State Surfing Championships” held every year at Huntington Beach, California. Every year Hodgert & White would get in their dory and come out on top while battling through frequently huge surf by the pier to round the outside buoy, position themselves carefully in the lineup, then catching and riding a wave in with the dory, to finally land the unwieldy vessel, jump out and run up the beach to the finish line. Paul and Jeff dominated the entire decade! Jeff was never supposed to live this long. He had been afflicted with Multiple Sclerosis previous to my working with him (1971-79), and after consulting with many doctors that presented a hopeless outlook for him, he found one doctor that offered hope through a stringent and demanding diet and therapy. Jeff faithfully followed those instructions. As he told me, “I went from crawling on all fours in the sand, to eventually walking, then finally running”. Jeff’s success story with MS resulted with many people stricken with the disease being brought by to meet Jeff at our shop, thereby providing them with inspiration. Long may you ride Jeffrey.